WHO: Division 9 students of Manoah Steves Elementary, in Richmond, B.C..
WHERE: The Richmond Dyke Trails in Richmond, B.C. Click below to see them all! Don’t they just make you want to take a walk in the park? Thanks for the lovely artwork, Division 9! 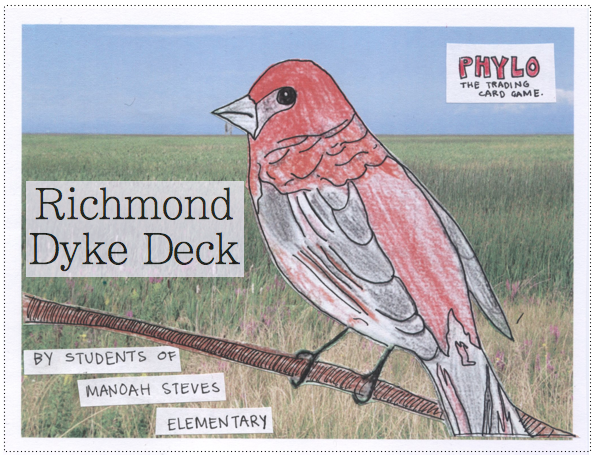 Purple Finch illustration by Jessie, Manoah Steves Elementary School, Division 9.
WHO: Students of Divisions 12 and 14, U-Hill Elementary, Vancouver B.C. Sea Turtles, Marmosets, Reef Sharks, Sea Anemones, Cane Toads, Jellyfish, Belugas, Seastars, Crabs, Eels, Sea Cucumbers, Fruit Bats, Sea Pens, Anacondas, Sea Horses, Sting Rays, Sea Otters, Seals, Pufferfish, Piranhas, Butterflyfish, Ibis, Butterflies, Octopi, Sea Lions, Tree Frogs, Sea Urchins, Sloths, Caimans, Dolphins, and more! WHERE: The Vancouver Aquarium Marine Science Centre, a public aquarium located in Stanley Park in Vancouver, British Columbia, Canada. In addition to being a major tourist attraction for Vancouver, the aquarium is a centre for marine research, conservation and marine animal rehabilitation. Officially Canada’s first public Aquarium, the Vancouver Aquarium has become the largest in Canada and one of the five largest in North America (From Wikipedia, 18 July 2011). Cacti, Venus Fly Traps, Apple Trees, Oak Trees, Grape Hyacinths, Maple Seeds, Forget-me-nots, Buttercups, Roses, Tulips, Daisies, Hostas, Daylilies, Dandelions, Japanese Maples, Mushrooms, Horse Tails, Labrador Tea, Salal Leaves, Lily Pads, Skunk Cabbage, Paper Birch Trees, Hemlock Trees, Salmonberries, Moss, Sunflowers, Oak Trees, Common Sundews, Evil Twins, Flowers, Brambles, Cherry Blossoms, Palm Tree, and Canadian Bunchberries! 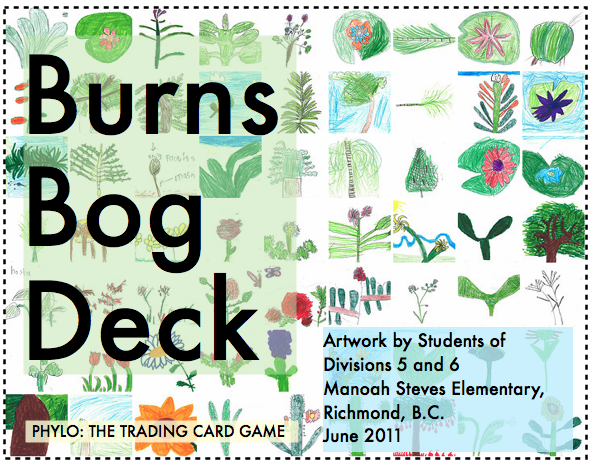 WHERE: Burns Bog, the largest domed peat bog on the West coast of North America. The bog covers an area of about 40 square kilometres (15 square miles) and occupies a quarter of Delta, British Columbia. It lies about 25 km (16 mi) southeast of downtown Vancouver. Many thanks to the students and teachers of Div 5/6 for their fantastic submissions!